Me and yellow...we go way back. I really can't ever get enough of yellow. There are so many beautiful living things in the natural world that are yellow, whether that be a bright or a muted yellow. So that's why you'll always see at least one yellow-cure per month. The stamp was done with Hey Sailor! (China Glaze) and m57, the well-loved Konad plate that got me started sometime two years ago. Two years? Wow time flies when you're bloggin' your little heart out. Neon Lights is really gorgeous! This is beautiful! 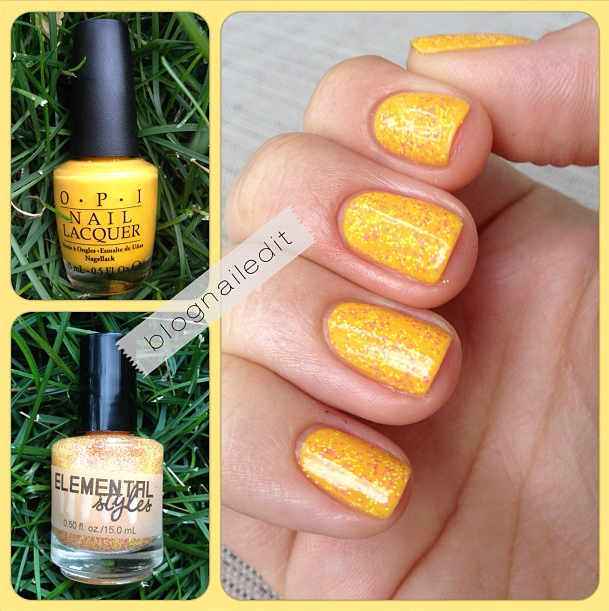 I have to ask because I am having the hardest times with yellow polishes but do you have any favorites that you absolutely love? I recently did a mani with Color Clubs Almost Famous and it took me 4 coats to reach opacity and the formula as so bad it chipped the same day. I really want to find a few "great yellow polishes" that are non-neon because I agree it's a gorgeous color just I've run across of lot of streaky and bad ones. Yellow's are tough, so even though they may require 4 coats, they're designed that way, so they don't get too thick. Just be patient between coats, and the results will be beautiful and smooth. The yellow here was 3 coats, 4 on some nails. I'm not really a yellow person, but it always looks fabulous on you. Beautiful! 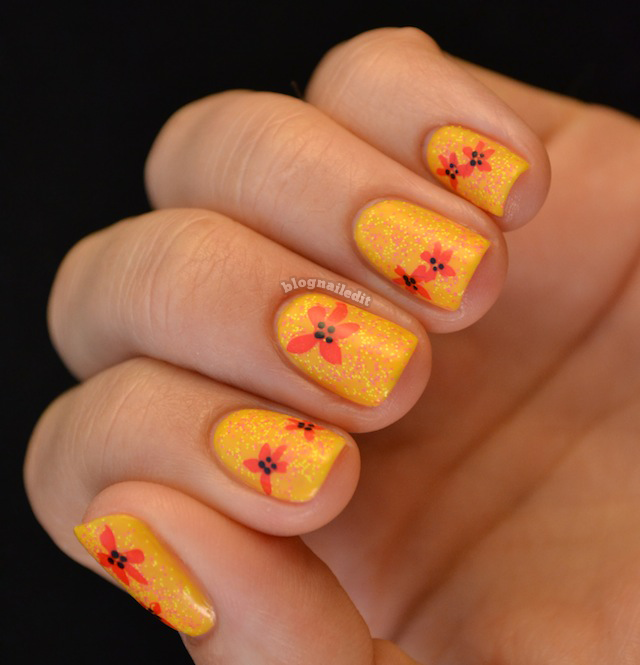 Great color combo - perfect for summertime! i like it. its simple and really pretty! I LOOOOOVE Neon Lights. LOVE IT. I don't own a single indie polish. It's just not my kinda thing. This is the first one I have seen that has made me say "omg, I need that". Are there any other glitters similar to this one, only different colors? I mentioned Asbestos and Carbon Copy from windestine. Asbestos is a white tiny glitter, and Carbon Copy is a black tiny glitter. Also, Water Wings from GlitterFest. That one's got lime green, blue, and pink tiny glitters. I have a confession to make....I dont own ANY yellow polishes aaah!!! I dont know why!??? you always make them look BEAUTIFUL! I would LOVE it if you would follow me! Colors are a summer breeze!